To shock all the people out there scientists have discovered the first ever omnivorous shark species which is known as the bonnethead that not just only can feed on meat rather it can take plant items like those of the seagrasses. This has been found by the researchers of the California University in the United States, and this has been a fact which has put almost everyone into a thoughtful pause as the fact seems to be kind of not possible at all. Thus the notion that was pre-set that the sharks are carnivores is completely proved to be wrong by the researchers of the United States. So basically carnivores completely feed themselves on meat whereas herbivores are completely depended upon plants, but omnivores are those animals which can feed on both plant items as well as meat. The shark was observed to consume the sea grasses which are the flowering plants which form a deep under the water in the coastal areas. 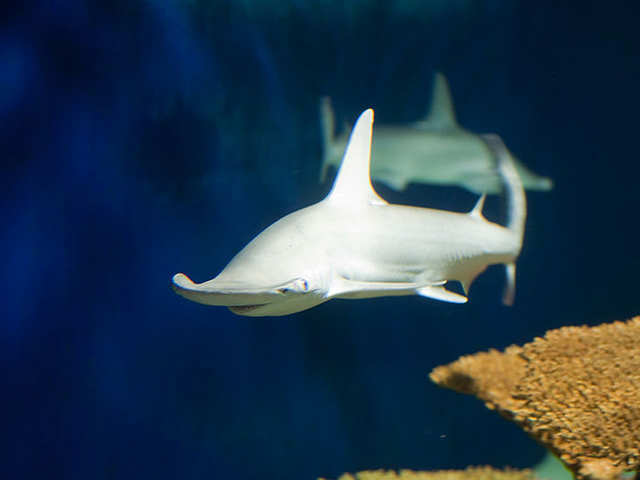 The bonnethead sharks are mostly found in the waters of the Atlantic Ocean towards the west and the Gulf of Mexico. The researchers have stated that these sharks are not as large as a normal shark can be, but the older female sharks can grow quite rapidly as compared to the male shark. The female shark can grow up to the length of about 5 feet. The researchers have tracked the dietary habits of the shark for some period, and then they concluded that the shark could be omnivorous as well. When the research was to be started the researchers made a similar seagrass bed kind of set up in the lab and then they continued to conduct the research. The researchers then found that the seagrasses are digested by the shark with the use of an enzyme that can especially breakdown the plant items and the components in them. Thus these researched led to the conclusion that all the sharks cannot be only flesh eaters necessarily.